Looking for good outdoor fun for the whole family? The Orange County Park System has a little for everyone! Check out this months Family Activities! Laguna Canyon Rd/Sr-133 just north of 73 Toll Road). Website: http://ocparks.com/peterscanyon/ Cost: Free Parking: $3 per vehicle Contact: (714) 973-6611 Special Instructions: Ideal for ages 16 and up. Minors must be accompanies by an adult. Large school groups/companies welcome. Call (714) 973-6611 for group registration. Click link for online waivers - http://ocparksforms.com/. Parking: $5 per vehicle Contact: (949) 923-2240 Special Instructions: Meet at Shelter 3 parking lot. www.lagunacanyon.org/activities. Ages 12 and up. Little Sycamore Canyon Staging Area/Nix Nature Center (west side of Laguna Canyon Road/SR-133, approximately 3.5-miles south of I-5/405). Special Instructions: PHONE REGISTRATION REQUIRED. Call Marcy Crede-Booth, Education Coordinator at (714) 973-6846. For ages 3 to 4 years old. Additional parents/siblings/family/friends must pay admission fee to enter zoo. Please note spaces fill quickly for toddler classes. Website: www.ocparks.com/caspers/ Cost: Free Parking: Free Contact: (949) 923-2210 Special Instructions: Ages 16 years and up. To sign up call Cindi Morgan at 949-923-2207 or email cindi.morgan@ocparks.com. Rain cancels the event. For cancellation or more information, please call (949) 923-2210. Please bring water, work gloves, sunscreen and sturdy hiking shoes. Website: www.ocparks.com/lagunacoast/ Cost: $2 donation per person Parking: $3 per vehicle Contact: (949) 923-2235 Special Instructions: Reservations required, sign-up online: www.lagunacanyon.org/activities Ages 15 and up. Willow Canyon Staging Area (20101 Laguna Canyon Road, just south of El Toro Road intersection). 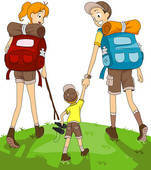 Participants should be able to hike long distances. Website: http://www.ocparks.com/wiederpark/ Cost: Free Parking: Free Contact: (949) 923-2290 Special Instructions: Space is limited and pre-registration is required. Please phone (949) 923-2275, or email unbic@ocparks.com to register. Rain cancels the event. Website: www.ocparks.com/caspers/ Donation: Free Parking: Free Contact: (949) 923-2210 Special Instructions: Ages 16 and up. Reservations are required and can be made by calling Cindi Morgan at (949) 923-2207 or emailing cindi.morgan@ocparks.com. Rain cancels the event. For cancellation or more information, please call (949) 923-2210. Special Instructions: Reservations required, sign-up online: www.lagunacanyon.org/activities . Ages 12 and up. James Dilley Preserve (east side of Laguna Canyon Rd/Sr-133 just north of 73 Toll Road). The terrain will be uneven and steep in some areas; be prepared to get dirty and get up close and personal with nature. Special Instructions: Reservations required, sign-up online: www.lagunacanyon.org/activities Ages 12 and up. James Dilley Preserve (east side of Laguna Canyon Rd/Sr-133 just north of 73 Toll Road). Special Instructions: Reservations required, sign-up online: www.lagunacanyon.org/activities Ages 15 and up. Willow Canyon Staging Area (20101 Laguna Canyon Road, just south of El Toro Road intersection). make every day a great one.